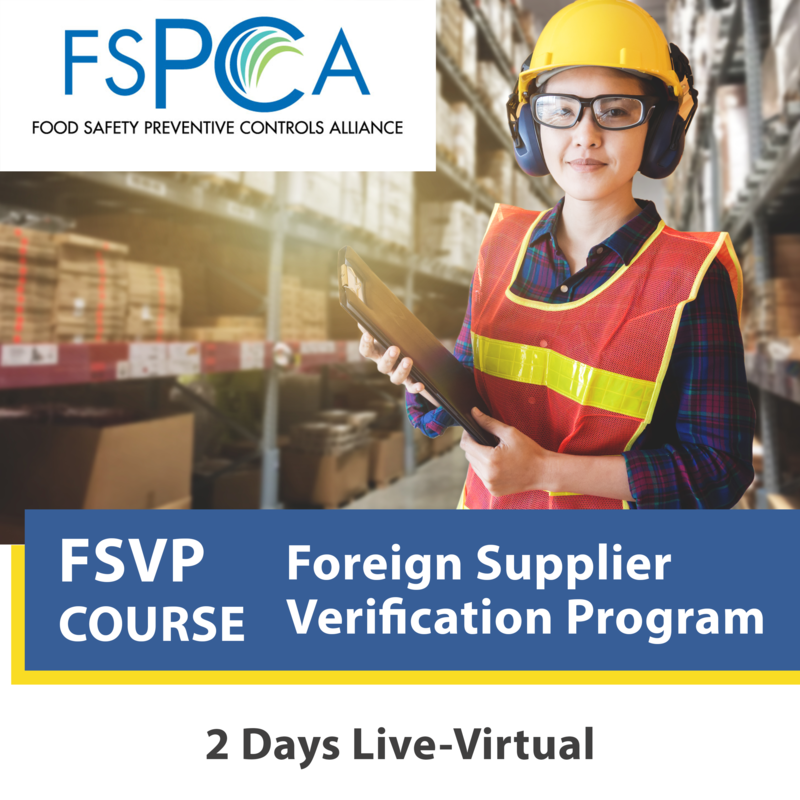 This 2 day live-virtual course will provide participants with the knowledge to implement the requirements of the “Foreign Supplier Verification Programs (FSVP) for Importers of Food for Humans and Animals” regulation of the U.S. Food and Drug Administration (FDA). Upon successful completion, participants will receive the official FSPCA certificate issued by the Association of Food and Drug Officials (AFDO). Attending this foreign supplier verification course will enable you to understand the requirements of the FSVP rule and how these requirements can be met. It will also help you to become a Qualified Individual under this rule. 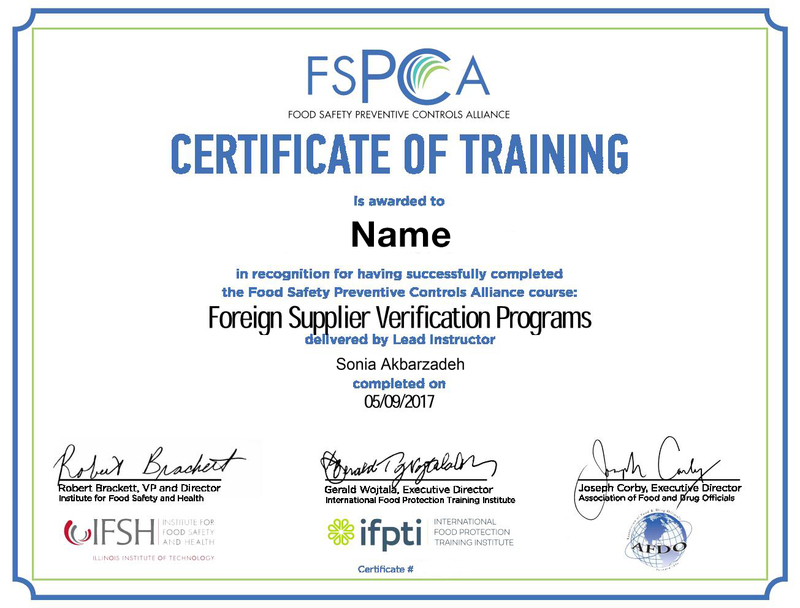 The FSVP curriculum was designed by regulatory, academia, and industry professionals and developed with funding from FDA as part of the FSPCA.